Performed in May, 2013 after my last Rite of Her Sacred Fires. This was filmed in Tehama County, California by myself. I lived not far from here as a young girl and was always afraid of these hills. As a teenager I encountered wrathful spirits here and was forever changed. The stone walls, built by Chinese railroad workers and immigrants were all that separated these ranches. The natural springs nearby was an old resort that burned down during the late 19th century. The West is wild indeed and in these places Hekate can be seen......but I dare not stay after dark. Lunatik Witchcraft: Illuminating Your Underworld. Shay Skepevski; 2012. Lulu.com. 196 pages. This gem of gnosis is offered up to the Hekatean community as a grimoire from mystic and artist Shay Skepevski of Sydney, Australia. With a familial background in Macedonian and Greek cultures, Skepevski draws on his heritage along with commonly known primary sources concerning the worship and magic of Hekate. Skepevski's Lunatik Witchcraft focuses SOLELY on Hekate as Matron and Guide on the path of shadows... alone and without the need of some consort. Between personal narrations, rituals, and background given with each step of the journey, Skepevski initiates the seeker into his praxis through the Underworld to the very heart of Hekate's light. The book is split into two sections (EN EREBUS, 'In Darkness' and PHOS, 'Light! '), it is not organized by chapter. Skepevski's style is very non-linear and in keeping with the 'lunatik' feel of the offering... and what a gift to us all it is. Lunatik Witchcraft is organized in a way which takes the reader on a journey delving deeper into one's own 'lunatik flame' of inner illumination; reminiscent of the Luciferian flame offered in many LHP traditions. 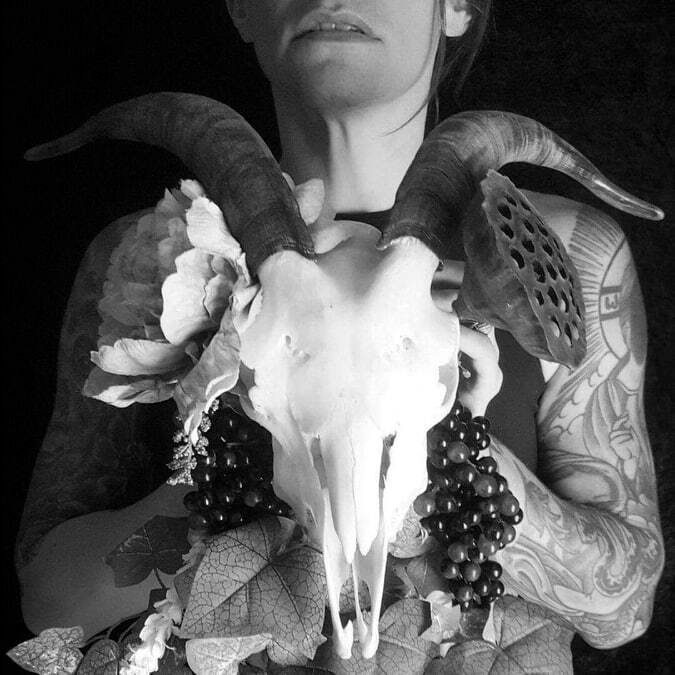 Unlike these others, I like that Skepevski explores so many varied topics of Her traditional and magickal domains including: herbs, necromancy, prophecy, trance and ritual drunkenness shared with the likes of Dionysian maenads in it's frenzy. “Bearing the Lunatik Flame (Lunatik Consciousness) has the potential to become an extremely mantic experience, guided by Hekate's well-known powers of divination and prophecy. Her light shall shine down upon the unknown and we shall wield the psychic power to unify with the whole of nature, as we mould our psyche into infinite other forms and open a clearer line of communication between Witch and animal, or tree, fire, moon and Witch. We will be able to evoke the fires of creativity, ecstasy, inspiration, epiphany, and clarity from our deepest and most luminous soul” (Skepevski, p.126). Skepevski is straight to the point in supporting his methodologies, which are all sound and grounded in obvious research and experience. I like that he also did this without including footnotes all over the damned place to prove it; giving it a true grimoire feel. Personally, I would determine this to be VERIFIED personal gnosis: I am verifying it Mr. Skepevski.... publicly and with the love of Our Lady. I tell you that many of the practices and ideologies you are revealing in this wonderful devotional offering (and it IS), I have been led to doing the same in my private personal practices over the past few years, with Hekate as guide. This is a wonderful offering to the Hekatean community and bless you for sharing it. Having followed the work, writings, philosophies and poetry of Skepevski for quite some time now, I was rather disappointed the artwork included in the text was only printed in black and white. I am sure this was due to cost, but Skepevski's paintings are illuminating, highly evocative and would have made this a true masterpiece. I pray some publisher picks it up and re-issues a collector's edition of this beautiful book, as a hardbound color incarnation of Her flame. "Peacock Vision" by Shay Skepevski. The Dance of the Mystai – A Modern Mystery Tradition. Tinnekke Bebout; Pagan Writers Press, Houston, Texas. 3441 pages (digital). Part introduction to the modern mystery tradition of the Mystai, part journey of feminist self-discovery, and another part personal narrative, The Dance of the Mystai is an inspiring book which points to the very heart of Goddess spirituality, then offers secretly to give more; rendering this reader's heart as overflowing with longing of spiritual Sisterhood. Touching on the universal themes of Patriarchy and the need for Goddess religion in women's lives, it was nothing I have not read already; but it was interesting to read the personal narratives and how they shaped the author, Tinnekke Bebout, into the Priestess she is today. It was the Mystai's work with Hekate and the emphasis on training, creating a modern tradition in Her service, and the acceptance of personal gnosis which made me interested in this book firstly. The face of Goddess spirituality is changing and with it the new Aeon is ushering in a time which does not attempt to re-create a movement but to pick up where our mothers and grandmothers left off and continue the work. And it IS work... as Bebout points out very clearly. The book hits the ground running to explain what the Mystai is and is not: an emphasis on personal work and reclaiming mysteries without influence of 'group think'. Bebout points out the privileged and comfy place we are all used to coming from, and why we are also not getting the results we long for; the deep spiritual connection that comes from recognizing our own innate abilities. "I know from experience and simply from being a modern American woman that we are not used to heat, exertion, and other adverse conditions and certainly don't look to experience these things on what may be in our minds a vacation. That is the first change we need to make: the Mysteries are not a vacation. They are not a Goddess Festival where various paid speakers will pass on ideas or skills while everyone sits in relative comfort and has meals prepared for them. They are not a convention where people sleep in hotel beds and wander from event to event... the Mysteries are a spiritual journey to the inner world of the Goddess. They are simple and profound" (pp.510-511). The first sections of the book go straight into the structure and working theology of the Mystai, including the liturgical calendar (lunar based), offices and lyceum curriculum. The second major section deals with the basics of trance, magickal theory and application, and devotional workings, all which are not necessarily from a beginner's perspective. Including in the bulk of the work is several devotional poems and hymns, narratives and personal confessions as Bebout includes works created by Mystai sisters; sharing and baring the soul of sisterhood. Bebout and the ladies of the Mystai are creating a modern tradition which speaks on a soul level with women everywhere. Much like the Fellowship of Isis, the Mystai's ideology rests in the universality of the Goddess and that "we are the Daughters of the Goddesses in all Their myriad and wonderful manifestations" (p.191). Several Goddesses of the Mystai tradition include Hekate of course, Aphrodite, Athene, Gaia, Inanna, Isis, Kwan Yin, Lilith, and Sophia. In my own workings with Hekate as my matron, She acts as a guide or 'agent' in the Otherworlds... perhaps this is the same reason why so many Goddesses are interested in the Mystai. The work they are doing resonates with my desire and need for a focused priestess training in the service of Hekate, without telling me what is right and wrong, trusting in the validations I receive from no other higher authority than my Goddess. The Mystai have re-confirmed for me that the way of gnosis and revelations CAN be shared in a nurturing, supportive community. I have found my way and look forward to my training. The end is just another beginning as we return to life; because really, most of us are just spiritually dead walking around in meat suits. In resurrecting our practice, we are also resurrecting our spiritual selves. I find myself being the 'feast or famine' type and I am sure the deities I work with loathe me for it... but obviously there is something sentimental about me or they would never pay me attention. I bug them so much that eventually they are forced to hear me out or forever be bothered by the adorations and beseeching of a mad woman. As I finish this devotional project, I realize I have nothing more to say. I feel the blank emptiness which comes from intense Zen meditations, the peace and mindfulness associated with completing a service, ritual, or any sacred time spent out of ordinary reality can seem like forever. I have barely been able to complete my homework assignments over the last 13 days; not able to write or read anything not related to Hekatean thought or chthonic practice. My family has become accustomed to my nightly meditations, prayers sent with the burning of incense, and strange, intangible uttering as I pray to Hekate in dead languages. My recitation is taken from the album Tales of Moon Face by Jade Sol Luna, from the track “Welcome to Styx”. As I continue with this practice, I find the words becoming intelligible with heightened meaning (I use his Latin version), giving me strength and courage to face the parts of myself I fear most and in their exposure, burning them up in the light of Lucifera. We honor you Queen of the black night. Hecate, mother of magic, at moonlit crossroads you befriend the hopeless. Torch held high you walk beside Demeter searching for Persephone. You work from afar; weaving spells of water, earth and sky you catch every eye in a fatal trance. Persian Artemis, invincible huntress, you hold freedom’s key. I honor you Hecate, accept our love and bless us, inspire all in the dark.